A Queen Elizabeth Costume including a Dress and Headpiece – Ideal for a Historical theme, or any fancy dress occasion! 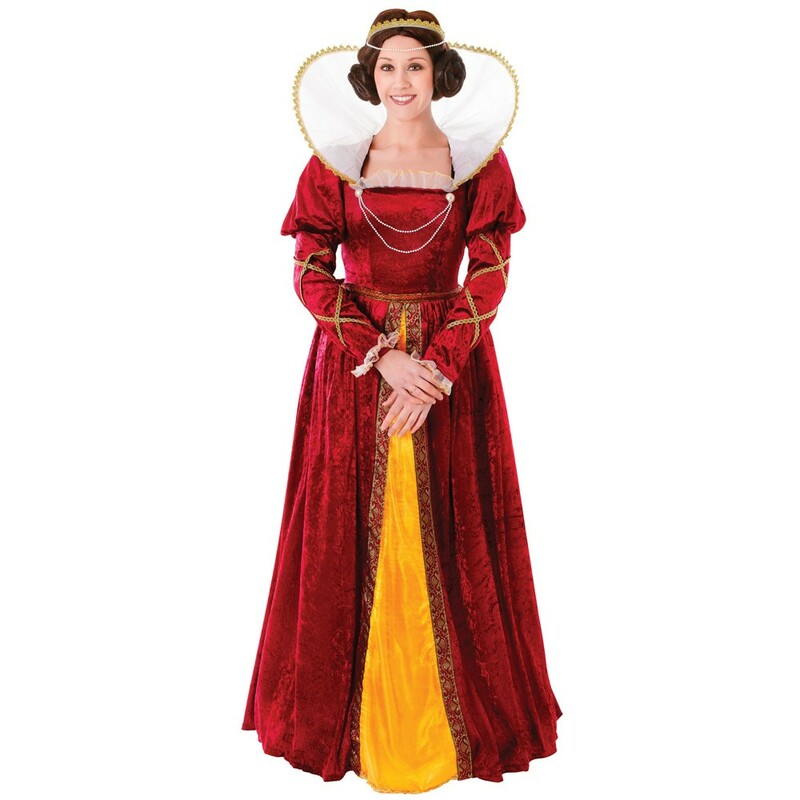 Practice your royal wave and transform yourself with this Queen Elizabeth Costume. 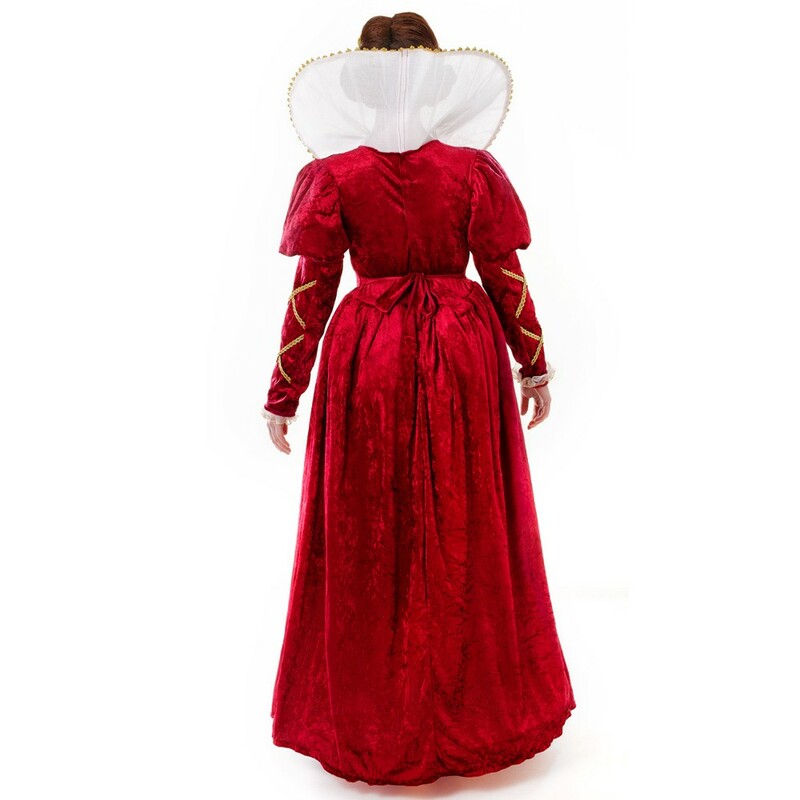 This stunning Queen Elizabeth Costume comes complete including a Dress and Headpiece. This red velvet dress features long sleeves, with gold crossed trim details across the arms, a high round collar with a matching gold trim, and a white pearl bead detail across the chest. The skirt of this dress features a yellow insert with an ornate gold trim for this authentic look. Complete this Queen Elizabeth Costume with the Gold Headband with attached pearl string for this royal fancy dress look. 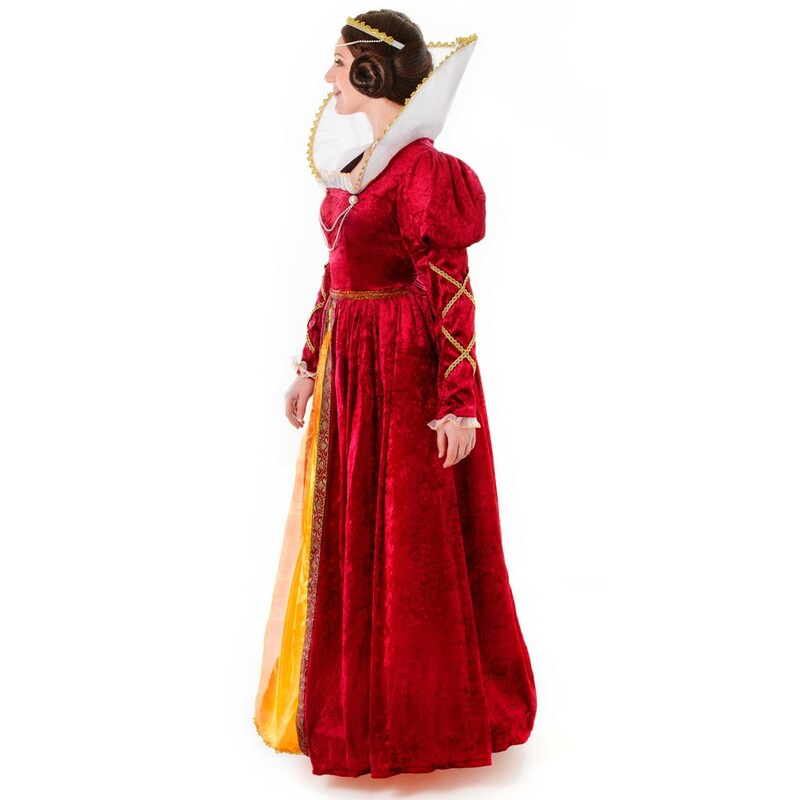 Perfect for a Historical theme, a TV & Film theme, or any fancy dress occasion, this Queen Elizabeth Costume will be sure to make you stand out from the crowd as any Queen should! A Queen Elizabeth Costume including a Dress and Headpiece.